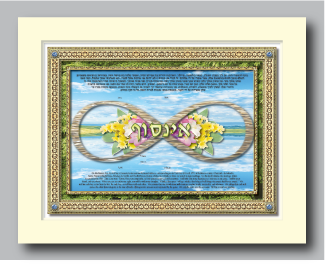 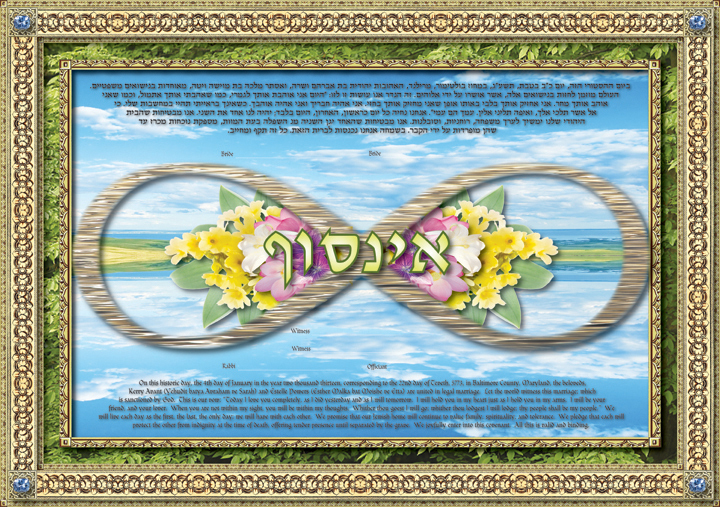 The central theme and image in this ketubah is the universal symbol of infinity. 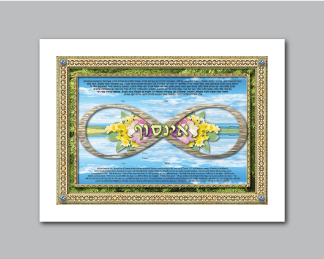 As if emerging from a cerulean blue sky and sea, this symbol seems to undulate in radiating waves. 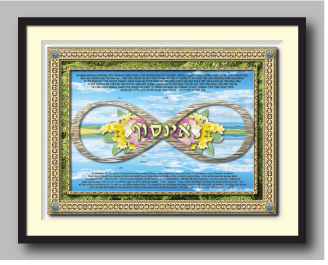 The Hebrew word “Ayn Sof”, meaning “Without End” is prominently featured in the heart of the image.